This news has the potential to change life as a Microsoft oriented Software Developer fairly quickly. Windows 8 Tablets are live, at least 5000 or so given away at Microsoft’s Build Conference. 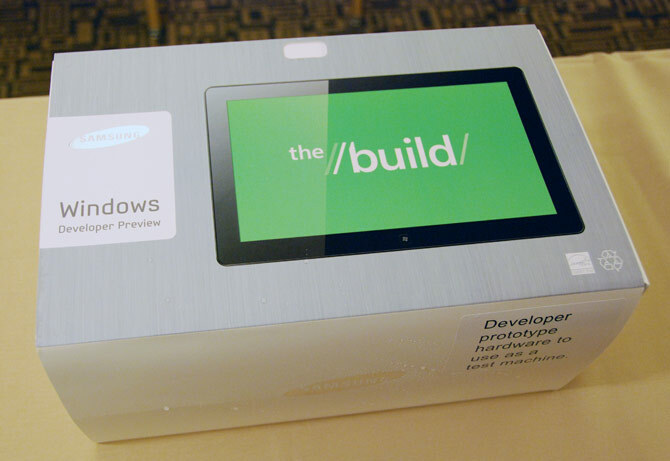 The Windows 8 Developer Preview will be available for public download today, so theoritcally you could buy one of these Samsung Slates at the end of the month and have your own Windows 8 Tablet running before Halloween.